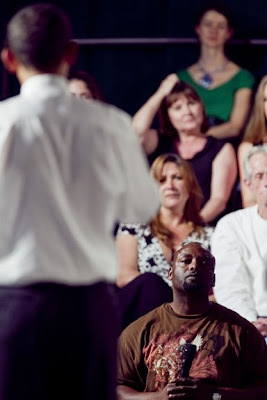 President Barack Obama held a town hall meeting in Costa Mesa, CA at the Orange County Fair Grounds. 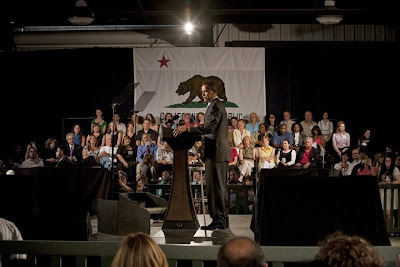 The President answered unscripted questions from the crowd, and spoke on issues ranging from the AIG bonuses to the local California economy. The OC crowd greeted the President with warm chants of "O-BAMA, O-BAMA!." 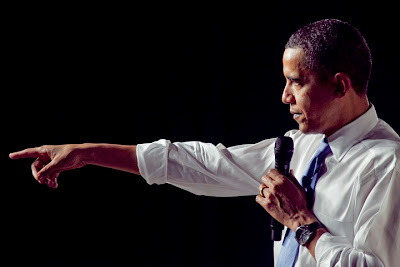 After his speech, the President removed his jacket and rolled up his sleeves to host the town hall meeting. 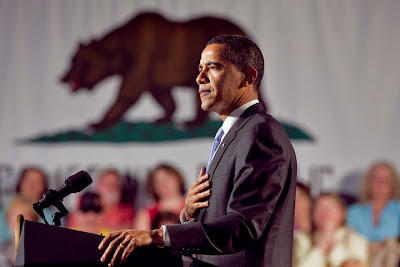 This was the President's first post election visit to California, and he will be a guest on the "Tonight Show With Jay Leno" tomorrow afternoon.